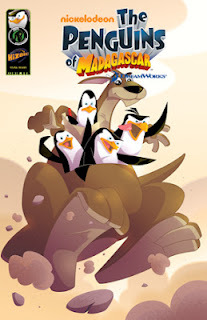 Susan Heim on Writing: Books to Movies Giveaway Hop: Enter to Win Kung Fu Panda and Penguins of Madagascar Comic Books! Books to Movies Giveaway Hop: Enter to Win Kung Fu Panda and Penguins of Madagascar Comic Books! This hop features books that have been made into movies or TV shows or, in my case, movies that have been made into books! 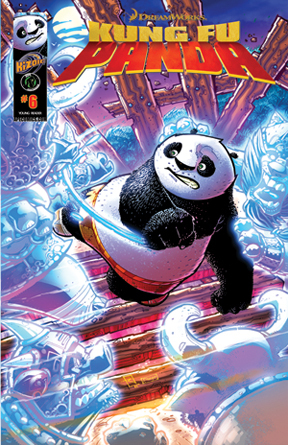 For my giveaway, I am offering fantastic comic books from KiZoic (a division of Ape Entertainment) featuring characters from the hilarious children’s movies, Kung Fu Panda and Penguins of Madagascar! I’ve been having a difficult time motivating my eight-year-old boys to read, and I’ve found that comic books are a great way to do that. They love to look at the colorful pictures with the stories, and a comic book is not as intimidating to read as a text-heavy book. They also love that these books include characters from some of their favorite movies. They’ve really enjoyed these new adventures. Mountain warlords. Cutthroat barbarians. Ancient demons. Po has faced them all. His next challenge, however, may be more than even the Dragon Warrior can handle, when Master Shifu issues Po a new challenge … a 24-hour fast! Will Po be able to defeat the enemy within … his own voracious appetite? After abandoning ship and swimming the remainder of the way to Australia, Skipper and his recruits learn that a human-built irrigation system has placed Mia’s platypus eggs in danger, prompting them to attempt to dismantle the elaborate contraption, but will Operation: Irrigation Confrontation be enough to keep the un-hatchlings safe? One lucky winner will receive both of the comic books featured above courtesy of KiZoic! To enter, simply fill out the easy Rafflecopter form below. This giveaway is open to U.S. residents only and will end on September 17, 2012 at 11:59 PM ET. After entering this giveaway, be sure to hop around to the other participating blogs listed in the linky beneath the Rafflecopter form. Now hop around to the other blogs participating in the Books to Movies Giveaway Hop for the opportunity to win more great prizes! Disclaimer: I received complimentary books to facilitate this review, but all opinions are 100% my own. The sponsor is responsible for prize fulfillment. My boys would love Megamind! Thanks! The boys would love Penguins of Madagascar TPB: Wonder from Down Under! My little one would probably love the Strawberry Shortcake one. My grandson would love dino duck. 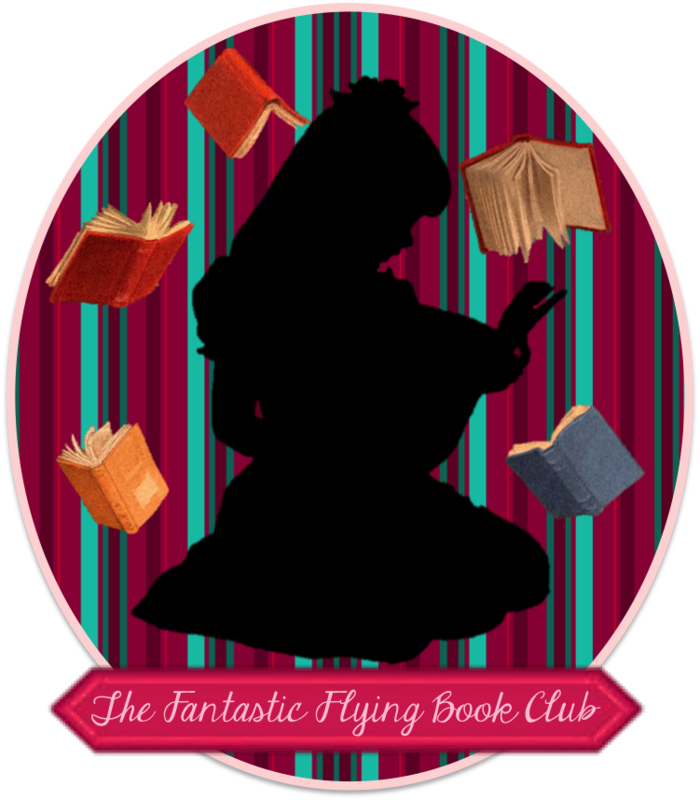 I'd love to read the Strawberry Shortcake series. My daughter would like Shrek! My kids would like Puss in Boots. I remember the Richie Rich series when I was a kid. I'd love to share those with my son. I like the Penguins of Madagascar Comics. Shrek or Mega Mind! Thanks! My girls would love the Strawberry Shortcake comics. I used to read Archie and Richie Rich when I was little. My kids would like Strawberry Shortcake too! My daughter would love "Puss N Boots." The Great Megamind Review would be perfect for the boy! I'm thinking maybe Dino Duck. She loves dinosaurs. My son would like Dino Duck. My daughter would also like Puss in Boots; that's one of her favorite characters. My son would like to read Dino Duck. My grandson would like Mecha Nation. My son would like Shrek, Thanks! Richie Rich Gems for my kids. I think my son would enjoy MegaMind. Thanks for the giveaway! I think my son would like megamind. My daughter would love Strawberry Shortcake. my boys would love megamind!